You are here: Home / Blog / On The Road Again / Back on the road again! 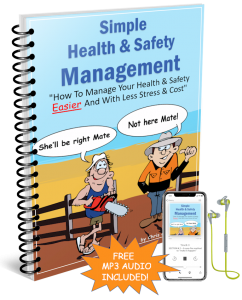 It’s taken 2 years to finish and perfect SimpleWHS (our application for managing work health & safety) to the stage where we are willing to open it for subscription. We’ve had a fantastic time working for Martyn at Shearpower Contracting in that time and the few preceding years. Now it’s time to take the leap and do what we’ve planned on for so long – work on the road while wandering Australia. 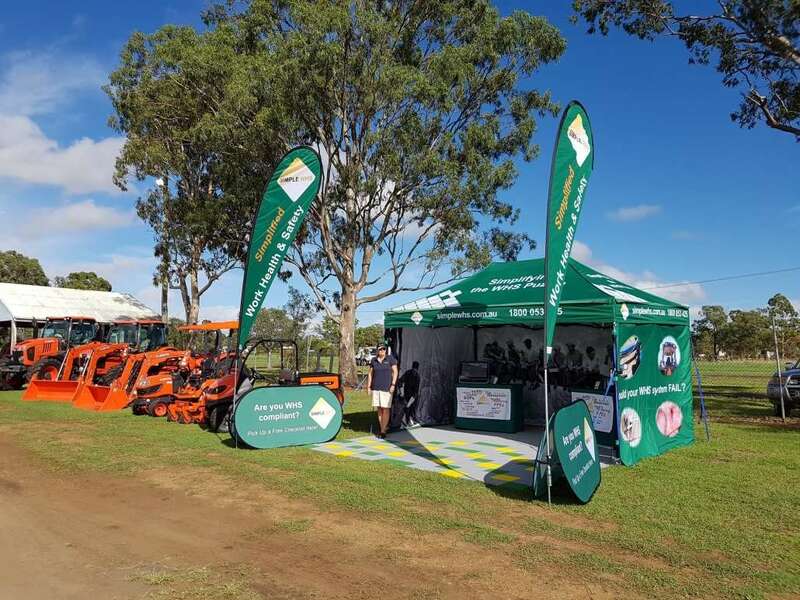 We’ll demonstrate the SimpleWHS application at machinery shows and agricultural field days throughout the country. The first show was at Pittsworth in Queensland. We’d been staying in Brisbane for a couple of weeks while we made a few last minute adjustments to the web page and got the caravan and the car serviced. The last day in Bris was really strange. We both had a nervousness that we’d not experienced since we first left for a life on the road nearly 8 years ago. I guess it says something of the incredible relationship we’ve been blessed with because even when the chips seem to be stacked against us we can encourage each other and press on. Leaving early the next morning to head to Pittsworth started with the same trepidation. Of course it didn’t help when the car started losing power over the Toowoomba range and proceeded to blow even more smoke than normal. Poor Kerrie! She was beside herself. We got to the Pittsworth show ground early afternoon to find a wonderfully friendly, helpful bunch of people. We began to feel at ease. It took us just two and a half hours to set up the site, which considering it was the first time, was good going. After many friendly greetings from neighbouring stalls and seeing our site come together exactly as we’d planned we spent the night with a hugely improved attitude and our usual positivity returned in spades. We were at the site early next morning and were set up well before anyone else. It was a pleasant first day with a number of people stopping to talk about what we do. This was encouraging as every person we spoke to thought we had a good and exciting business model. I doubt if we’ll sell anything here but the whole reason for coming to Pittsworth was to practice working the site before the big ag fests. So far we’ve certainly achieved this and we’re both very happy with it all. An excellent wife Chris & Kerrie Jones Don’t Stare Up The Steps – Step Up The Stairs!